The 2016-2017 Annual Report of Bòrd na Gàidhlig, the principal public body in Scotland responsible for promoting Gaelic development, has been published today (Monday 30 October) at a meeting of the Convention of the Highlands and Islands in Oban. 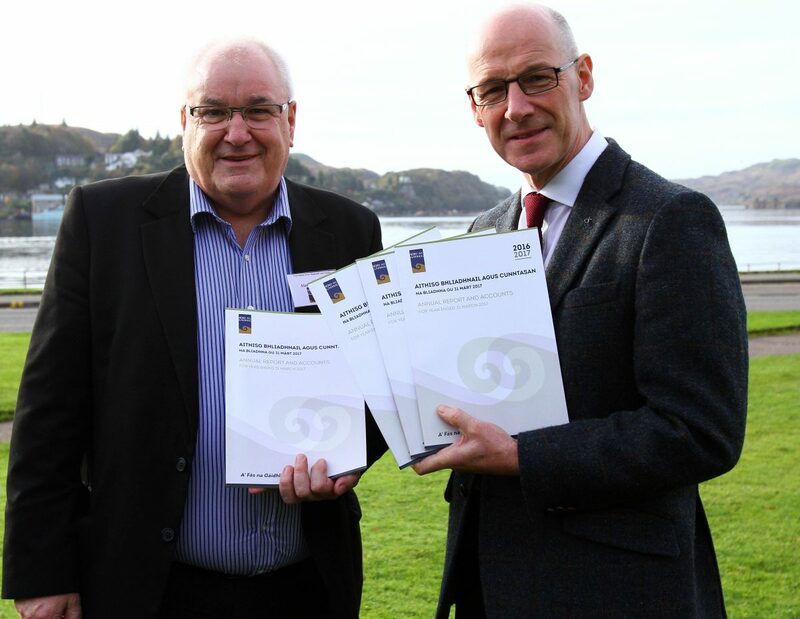 The report highlights the key developments undertaken by the Bòrd over the past year which have included the development of the third National Gaelic Language Plan; the Gaelic provisions of the Education (Scotland) Act 2016 being implemented; collaboration with a growing number of public bodies on the production and implementation of Gaelic Language Plans; support for the promotion of Gaelic language, music and culture nationally and internationally; support for early years and Gaelic medium education; the provision of funding for professional development for teachers and for students undertaking teacher training. Previous Previous post: Bòrd na Gàidhlig a’ cuimhneachadh air Tormod MacIlleathain agus Seonaidh Ailig Mac a’ Phearsain.